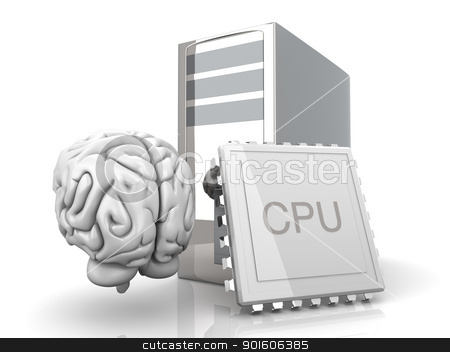 Artificial Intelligence Symbol. 3D rendered Illsutration. Isolated on white.